BRYAN EATON/Staff Photo. 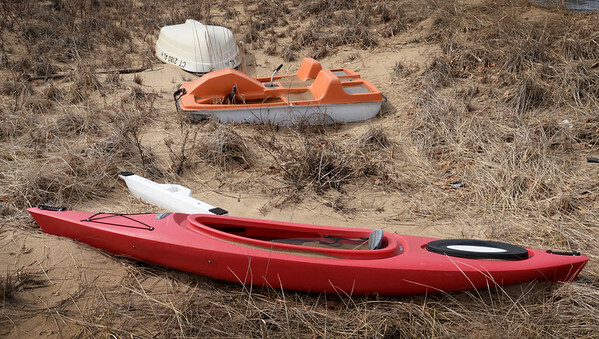 Three watercraft, the kayak filled with rainwater, sit idle in the grassy dunes on Plum Island. The weather does warm up for the weekend, though it may be still too early for water activity on the Merrimack River.